On the assumption of some program unification of pocket computers, which is observed now in the market, the user, in result, can choose pocket computer, basically, being guided by design. Roughly speaking, he chooses the most suitable OS for his the requirements from two basic - Palm OS and Pocket PC, and then tries to understand what pocket PC will look better in his hand or, say, in pocket. This distinctive feature of pocket computers tries exterminating Mitac Company, flooding the market by twins pocket PC's, by the way, thank, though under different marks. There are some examples to this: Mitac Mio 338 and pocket PC from NEC, Rover PC and ViewSonic V35. 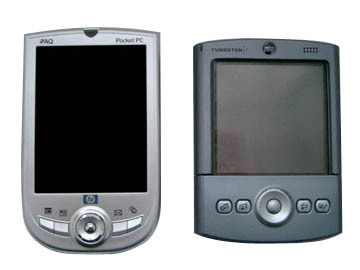 In new handheld computer of iPaq model line, 1910 series, Hewlett Packard company has emphasized exactly on the design, first, to attract users and to distinguish new handheld computer from some grey neighbors, second, to keep and to strengthen the reputation of iPaq brand. New iPaq 1910 concerns to the segment of inexpensive handheld computers, which price is lower than 400 dollars. 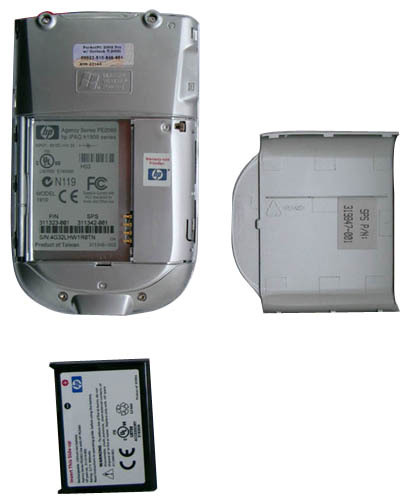 It is specified also with standard kit: there is no cradle offered to the user - there is only synchronization cable and power supply adapter which can be connected as through the cable, for additional handheld computer charge during synchronization, and to the pocket PC with the help of the special adapter known from the last models of iPaq. From unessential, at first sight, things there are headphones. At the second sight you understand, why the company shows such love to the user - the headphones socket in new iPaq is not standard, but especial - it’s thinner. The care of the user is pleasant, but the engineering solution casts despondency. There is nothing to speak about spare stylus or soft covers - while it remains the attribute of expensive handheld computers, moreover, probably, an integral part of standard kits of the Korean pocket computers - debutants in the world market. Any soft-cover or even lid for the screen of new pocket PC fails so, probably, the most actual purchase for the new handheld computer, besides, memory card becomes a case. I'll tell at once, that from the design point of view new iPaq, in my opinion, is the best pocket computer from offered in the market. It is visible, that as against the Korean competitors, Hewlett Packard can invest money in design development, as there is nothing to change in the field of operational system . Anyway, 1910 breaks out from competitors by the smaller sizes and round shape. Among the computers on base of Pocket PC 2002 it is, probably, the most graceful - and by the size is less even, than Palm Tungsten. This effect is partly promoted by all the same slick down shapes. There are no any superfluous controls - only that are necessary for normal work: on the forward panel, under the screen, as well as it is necessary - four hardware buttons and four-way joystick with active central part - action confirmation button. From above the screen - the button of inclusion in combination working as an indication of battery charging and an alarm clock. At the left end face - the button of activization of a dictophone and infra-red port. The top part of pocket computer is occupied, as well as it is necessary for normal handheld computer, by expansion SD/MMC slot, headphones jack, microphone and groove for stylus. Most likely, expansion jackets won't be used in this model - the old ones do not match by the size, and the new ones hardly will be developed for the bottom price range model. 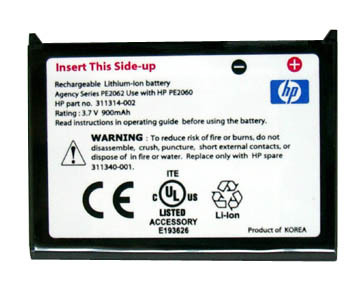 The battery in new handheld computer is demountable. It is pleasant, that the company has not economized on this. The battery is lithium-ionic with capacity of 900 mAh. Such battery suffices for 6-8 hours of continuous handheld computer work. In general, the idea of the replaceable accumulator is not absolutely clear to me. First, the life time of such accumulator is equal to 3 years, but during this period the device usually becomes outdated technologically, accordingly, the time of accumulator replacement coincides with the pocket computer change. The opportunity to take along an additional accumulator is good, but if only you have a place where you can charge it. For example, on cradle of Mitac Mio 338 there is a special socket for charging the battery separately from handheld computer. But when the opportunity of additional separate battery charge is not present, the purchasing of one more accumulator loses the meaning. The screen is transflective with backlight, in spite of the fact that it's a bit less than that we have got used seeing in iPaq computers of the superior generation, but it is very good. With bright backlight, we can read in room and outdoors without problems. 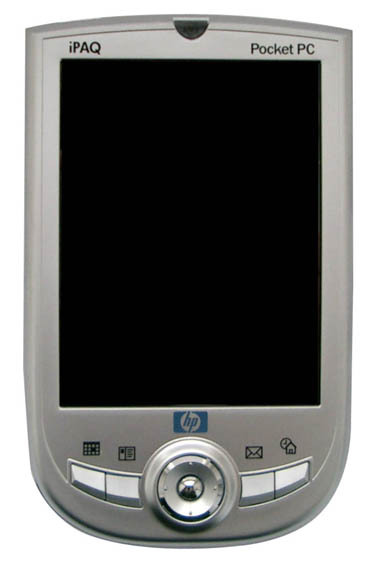 Other hardware characteristics of HP iPaq 1910 are those: Intel XScale PXA250 processor , 200 MHz, 64 mbytes of RAM (46 Mb are available to the user), 16 Mb of Flash ROM, that, basically, is the standard for handheld computer of the bottom price range. There is nothing to tell especially about program part - inside 1910 is standard Pocket PC 2002 without excesses - and you won't let go with only 16 mbytes! 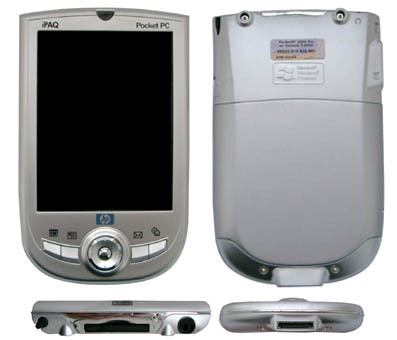 IPaq 1910 is the first pocket PC in the bottom price segment, released under this brand by Hewlett Packard. The iPaq name is boosted enough and, probably, therefore 1910 is a bit more expensive than his colleagues by the product segment. It's price now in Russia makes 370-390 dollars, but the handheld computer with similar kit can be bought for 299 dollars (Rover PC P3) and for 330 (Toshiba E 310). But nevertheless, the company has made the correct rate - a bit more expensively, but you buy iPaq from Hewlett Packard - the world famous brand of one of the first-rate world companies. And, whatever they say, it costs this money. To check up this it is simple - go to any handheld computer shop and ask to twist in hands iPaq 1910 and any of its competitors. Your choice will be obvious.